Ask fellow campers about "Lemon Cove Village RV Park" and nearby attractions. Very pleasant and quiet park 30 minutes drive from Sequoia Visitors center. Gravel pull through lots and easy access for any size rig -we are 43 ft + 16 toad. Utilities are good although no cable and WiFi worked fine for us but we did not need anything more than basic use. Stayed a total of 4 nights and the location is right in the middle of orange groves, foothills, and some small towns. 15 minutes to Visalia for any larger stores. People working are fantastic and looked to be making several improvements on an ongoing basis. Great dog park and shaded sites. We camped at Lemon Cove Village RV Park in a Motorhome. 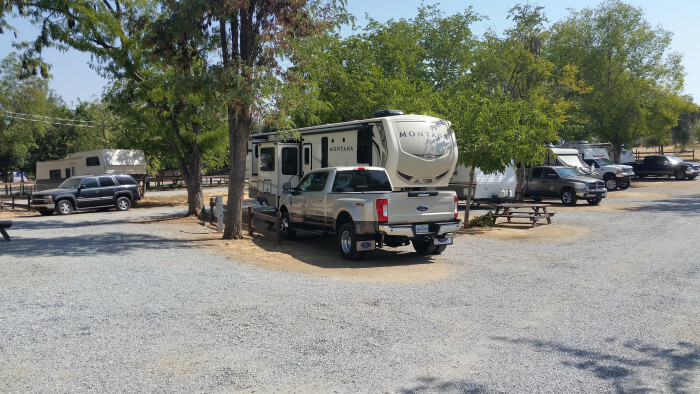 We stayed 13 nights in a fifth wheel with a focus on visiting Sequoia and Kings Canyon NPs. Note that my low rating on the actual site was because it was very off-level which prevented good drain on waste hose and because overhanging olive and pine trees prevented me from raising both Satellite and on-air antennas. This did not seem to be the norm for other sites. They offered to move us but we could not find a site that would work for the period of time we were there. Office staff nice. This is a beautiful area in the middle of citrus, olive, and nut groves. Harvest celebrations are late October. Very convenient to Sequoia and about a 50 minute slog through windy roads to Kings Canyon. 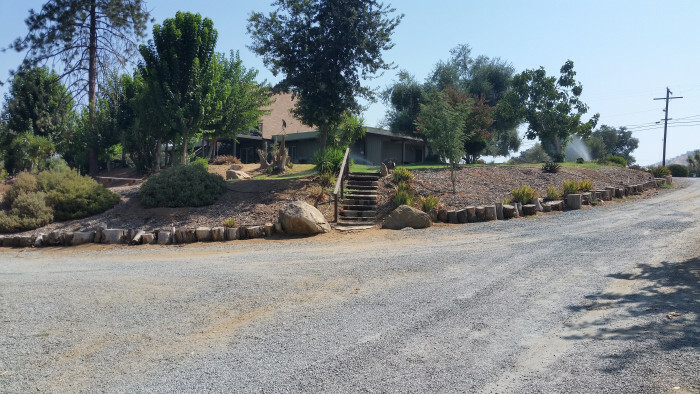 You can go through Sequoia to get to KC or take the Dry Creek Rd from 216 just west of 190. Narrow winding roads that are much more enjoyable during the day time than at night for driving to and through the national parks. We found fresh figs and fresh ripe limes on the bush and harvested a few. Pool was closed. Note that October is late in the season and the National Park are shutting down campgrounds, services, facilities in preparation for the winter. 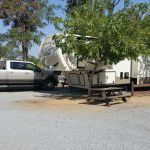 We camped at Lemon Cove Village RV Park in a Fifth Wheel. Visit Sequoia and Kings Canyon. Visalia for theatre and fine dining at Vintage Press, fantastic. Exeter for murals especially if you have kids; eat at Los Panchos. Porterville for shopping and olives. 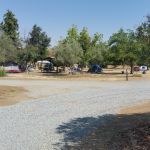 Small, rustic park with a mix of 30/50 amp FHU back-in/pull through sites and 5 RV sites with no hookups on one side of the park and tent camping sites on the other. Interior roads are gravel and easy to navigate, although trees could use a good trimming. Sites have decent separation, are gravel and wide but vary in levelness, so you may need leveling blocks. 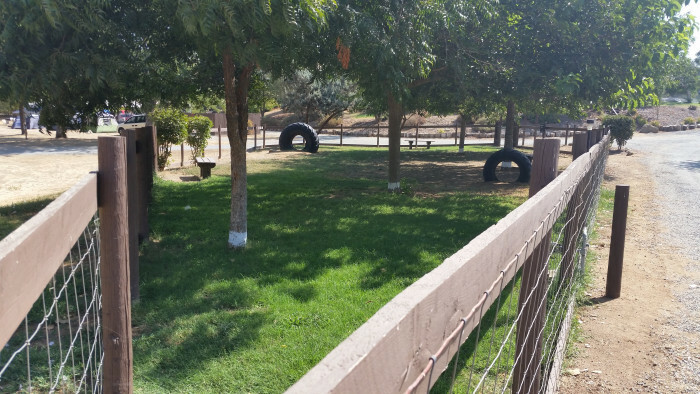 The park is very dusty and dry, and the only areas with green grass are the dog park and office area. Nice pool on opposite side of the park. Bathrooms were older and reasonably clean, with 3 toilets and 3 showers per gender. Laundry area on site with 3 washers and dryers (1 out of order during our stay). Office area is decent with small selection of gifts, snacks, ice and RV supplies. The office, laundry and bathrooms are located on a hill which may pose a problem for those that cannot navigate stairs or an incline. There is a port-a-potty in the RV section however. I agree with previous reviewer's posts regarding electrical issues, as six sites including our own (we were in site 10) lost power on Sunday. Maintenance reset the main breaker within 30 minutes, but voltage was low (113 volts in our rig). However, we had no issues before or after this incident and we were there a whole week. Staff were friendly and helpful. Park was very quiet during our stay even over Labor Day weekend and the park was nearly full. No cable available and we were only able to pull in 8 OTA channels. Good Verizon service. Free wifi provided but we didn't use. Park does not enforce their rule about dogs being on a leash. Daily rate is with Good Sam discount, but still expensive for what you get. Overall, a good park to use as a base for exploring Sequoia National Park. 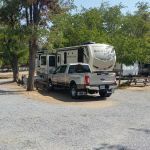 We camped at Lemon Cove Village RV Park in a Fifth Wheel. The park is about 30 minutes from the Ash Mountain entrance of Sequoia National Park and is also a designated pick up location for the Sequoia Shuttle if you prefer not to drive. The shuttle only runs from late May to early September and costs $15 per person, which includes the national park entrance fee. No cable! I called the campground every day for a week to make a reservation. Never got to speak to a live person, always got answer machine. I left messages twice with my phone number, never got a call back. Lot's of permanents. WiFi was so slow outside of campground office that it wouldn't open any web pages. AT&T 2 bars , but did get LTE, so was able to use my Hotspot to use computer. We camped at Lemon Cove Village RV Park in a Motorhome. Population of Lemon Cove 380! Half an hour from Sequoia NP. Nothing in lemon Cove, very few amenities in Three Rivers, you need to go to Vistalia. Feel isolated here. We stayed for 3 nites to visit the 2 Nat'l parks. This park was convenient, if a little pricey, and very well kept. Very friendly and helpful staff and one of the stops for the Sequoia shuttle bus. We camped at Lemon Cove Village RV Park in a Motorhome. Be very careful when signing up for the Sequoia Shuttle. Our reservation person put us down for the wrong time and location which caused us to have to swap days. The site is dusty, very limited shade, During our stay the park had electrical problems which fried my microwave and washer. It was 104 degrees and the pool was closed, the staff was nice but not informed and could not answer questions about the park. 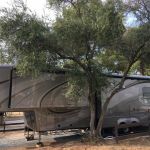 We camped at Lemon Cove Village RV Park in a Fifth Wheel. The owners of the park are extremely friendly and helpful, there's a nice pool and the restrooms are very clean. The water from the shower could be a bit stronger. The campsites are spacious and have shade. They also provide you with free WiFi. The campground is not big but thats its charm :) i would definitely recommand it! We camped at Lemon Cove Village RV Park in a Motorhome. Level site, gravel,. Some shade from tree. Fire danger zone no campfires. Hard surface pad would have rated 10 We camped at Lemon Cove Village RV Park in a Motorhome. This was our second stay at this park. It is small, and rural, but the sites are nice. Also, it's very easy to get to and close to the entrance to Sequoia National Park and the Mineral King Valley. I think there were more sites with seasonal workers than last year, but everything is well kept. We would stay here again. 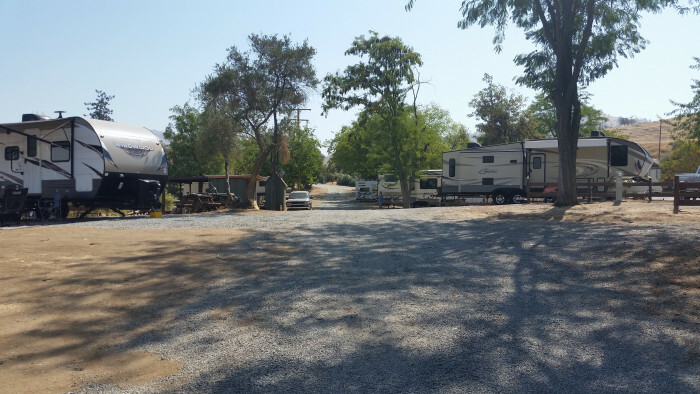 We camped at Lemon Cove Village RV Park in a Fifth Wheel. DO NOT take Hwy 245 out of Kings Canyon back to the park. There must've been 300 sharp turns. Take Hwy 63. The Cat Haven Survival Project is just a little way outside the Kings Canyon entrance in Dunlap, and is well worth a stop and a tour. Beautiful park, and easy to get in/out with a big rig. Our dog loved the dog park, which actually had trees and plants in it to make it interesting for her, versus the others we've encountered that are only open space. Laundry was clean and reasonably priced ($1.75/$2.00). The area is absolutely gorgeous, and the smell of orange blossoms is incredible. We didn't want to take our big rig up to Sequoia National Park, so this was a perfect location that was close to the park, but also to what the towns had to offer. This park is more pricey than we like to pay, and but the staff was so friendly and the grounds so clean that it was worth it. The pool was not heated, so it was not open as of mid-April, which was disappointing for our daughter, who would swim just about any time of the year! The staff was very accommodating when we needed to extend our time by a couple of days, and arranged things so we didn't have to move spots. We would definitely stay here again. 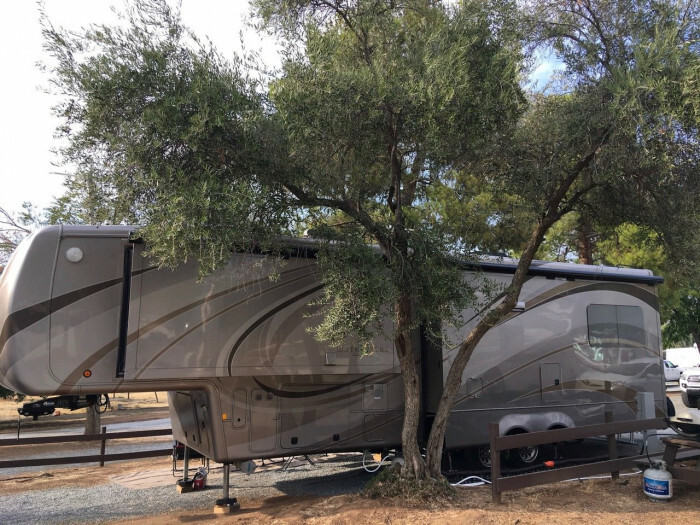 We camped at Lemon Cove Village RV Park in a Fifth Wheel. When we called to make reservations 3 months ago, the office kept telling my husband that they were not Coast to Coast. He called twice to double check. When we arrived there was the C2C sign. He asked about it and was told that you have to tell them you are C2C 24 hours before you arrive. Anyway, after a call to the owner, we got the C2C discount. For the area, it is nice. Facilities are good and clean. Surrounded by orange groves and the smell is great. Close to SEQUOIA NP. Gravel sites but level. 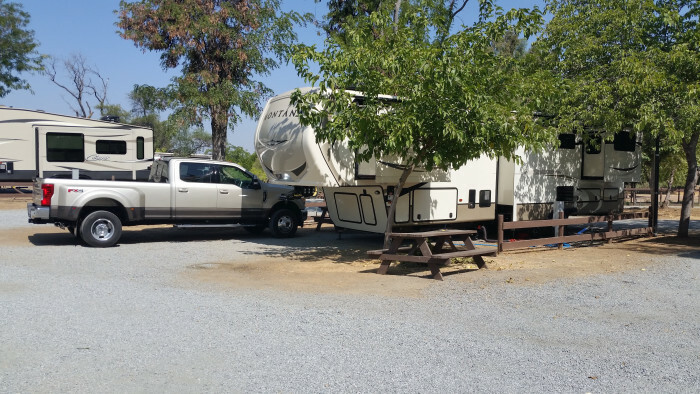 We camped at Lemon Cove Village RV Park in a Fifth Wheel. Lemon Cove was a very clean, pet friendly park. I stopped there for a couple of nights and overall really enjoyed my experience. The staff was nice and pleasant, the camp sites were clean and even had a dog park included! All in all, I enjoyed my experience at Lemon Cove and would stop there again. We camped at Lemon Cove Village RV Park in a Motorhome. We parked here in order to visit Sequoia National Park. It is located about 17 miles from the park entrance. There are campgrounds closer to the park entrance but I have no experience with them. This campground has gravel driveways and site pads. There is a grass strip and small fence between sites. We had a pull through site with full hookup, 50 amp electric. The park is kept clean and seems well maintained. Also, the bathrooms are very clean. They have WiFi but it is only available around the office. I did try to use it but it seemed hopelessly slow. They have a clubhouse with TV, pool table, games, etc. We paid $49.50 per night with Good Sam discount. We camped at Lemon Cove Village RV Park in a Motorhome. 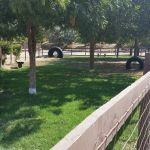 Park is neat and clean, large dog area, plus large area to walk outside the lease free area. Enjoyed our stay, close to both Kings Canyon and Sequoia National parks. A short drive to plenty of sensational restaurants, fruit and nut stands. We recommend a stay here and we would stay here again. We camped at Lemon Cove Village RV Park in a Motorhome. 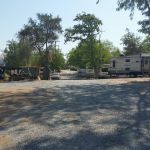 We were amazed at this RV park, it is arguably one of the best we've ever stayed in. It is clean, organized and extremely dog friendly. The managers took over this park about six months ago and have made an incredible difference, if you believe earlier reviews. We could stay here for months if we had the time. It's just beautiful. We camped at Lemon Cove Village RV Park in a Motorhome. 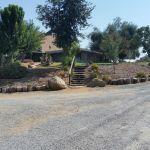 About 15 miles from Visalia, California where any type of shopping you might need is available. Also quite close to the entrance to Sequoia National Park. Be sure to take a trip to the Sequoia National Park. 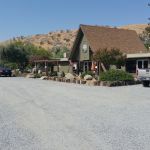 In Three Rivers, try the River View restaurant....very much a locals favorite with reasonable prices and the back deck is dog friendly and is right on the river with lots of rushing water. And get your fresh fruit and vegetables on the way to the park in the roadside stands. A great staging point for the climb into the big trees of Sequoia National Forest. And if you like small towns, Exeter and Visalia are great stops. Some rafting and fishing on the Kaweah River and Kaweah Lake just a few miles east. Tons of fruits, nuts, and veggies available at markets along the way. 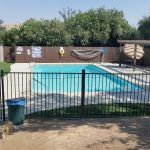 Are you affiliated with Lemon Cove Village RV Park ?